Raise Money The Hassle-Free, Risk-Free, Reliable Way With Treasured Memorabilia! Why take any chances purchasing memorabilia that may be staring you right back in the face after everyone has gone home? There’s a simple – and hassle-free – way to ensure a profit; the Tournament Pro’s “Auction-in-a-Box” program. First, our highly trained staff will work hand-in-hand with you to create a list of first-rate items that best suits your group (local professional and college sports teams, entertainment, etc). Then, we will ship these highly sought-after memorabilia pieces to you at no cost...with everything you need, including bid sheets and even easels! And in the highly unlikely event that these great collectibles don't sell? You don't pay for them or the shipping back to us. True, we’re not the only company to have a consignment program, but we are the only one to include four free first place team plaques which you can keep even if nothing sells. Click on link at the bottom of this page for all the details! The Big Three | A tribute to Nicklaus, Player, and Palmer. We will ship one each of all three 27 X 32” beautifully framed pieces above (click on pic to enlarge) by pop culture artist David O'Keefe to you at NO cost. “EVERY BID WINS…AND HELPS THE CAUSE!! Highest bidder takes this beautiful piece home TODAY! You simply put the pieces that don’t sell back into the same box they came in and use the label included to return them to us…NO CHARGE. Your organization makes 30% of each minimum bid PLUS 100% of the amount the “winner” bids above the minimum. *It's up to you what the other bidders pay; i.e. minimum bid, what they bid or what the winning bid was. Contact Tournament Pros for more details about these programs. 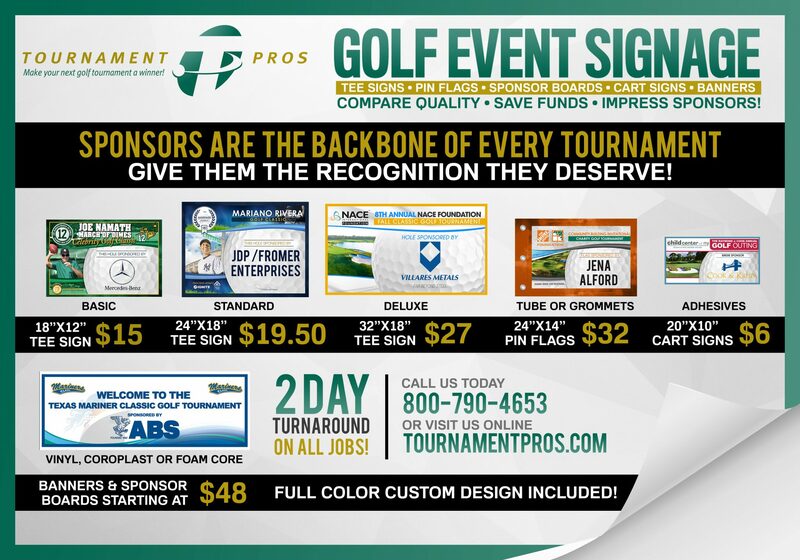 Tournament Pros provides services that help charity golf tournaments across the nation to raise more money.